How to handle Bounce Emails? With email marketing as an essential part of every business may send out a huge email list to your customers. However, there are concerns of email bounces for the promotional or Transactional Emails that you are sending. In terms of email transactional bounce that could mean a user can be locked out of his account because he can’t reset his password. In this situation, it will need extra customers support. A solution is to improve your bounce handling, you’re likely to reduce the support requests related to delivery problems giving better customer service. How do Taximail handle the email bounces? We receive a lot of response from many recipient servers then we analysed it to classify what kind of email bounces. After we know and classify whether it is a hard to bounce or soft bounce. Citing an example above when you download your email campaign result you will see the list of bounces and reasons. This will help you Improve your Email Marketing Strategy for your next marketing campaign. Let's narrow down what is the difference between a Hard bounce and Soft Bounce. Hard bounce indicates a reason why emails cannot be permanently sent. Bounced emails will be marked as Inactive hard bounce, which will not be sent to future email campaigns and will be added to the do not send list. Recipient email address does not exist It may have been deleted or address may have a typo. Mailbox is invalid or ambiguous It means that the address doesn’t exist. Try to acquire a valid mailbox. Relaying denied or Delivery not authorized When an unauthorised user attempts to send a non-local email. Mailbox disabled, not accepting messages This might be a permanent error if the mailbox will not be enabled but the mailbox exists just not accepting messages. 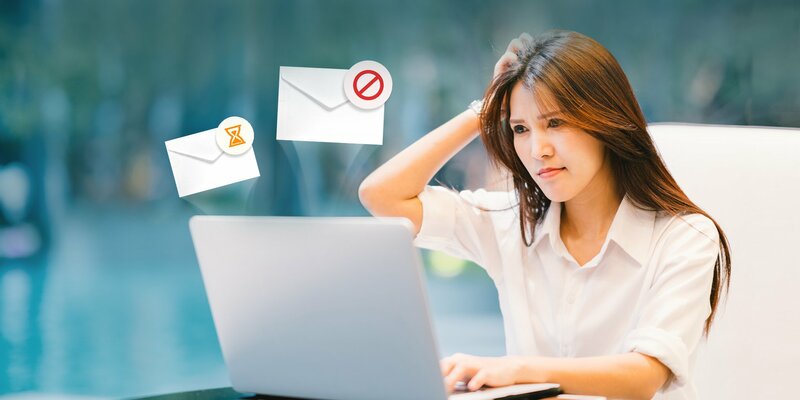 Undefined network or Routing problem the email address of the receiver does not exist, it doesn't accept emails from you or temporarily blocked. Permanent error for some unstated reason The server may have connection problems or due to insufficient storage. Domain name does not exist It might no longer be used or the domain expired and not renewed. A Soft bounce is caused by problems that can not be sent temporarily. It's a different deal from hard bounce when a soft bounce appears is statistics of any campaign. If the email still does not contact the recipient's mail server within the specified time period, the email will be considered a soft bounce for that campaign immediately. However, you can still send those emails to other campaigns. Below are common reasons that may occur. Delivery time expired or Network congestion It can be in any direction - hardware (mail server down), bad connection between the mail servers (bad handshakes), bad internet, etc. Email message is too large The email is too large for the recipient's mail server and you must resize the image or send it as a link. Mailbox is full Over quota, the recipient’s inbox needs to delete some emails. Recipient email server is down or offline This maybe the recipient mail server is shut down or crashed. Recipient or recipient's email server rejected the connection Trying to connect server but it was cut before the connection before was established. Recipient or recipient's email server has completely blocked delivery Sent content like spam, temporary block, or sending a lot of email to their server. Related to content with spam-like characteristics You may have sent a number of messages that have received a score of 5 or higher on our spam filtering software. The transaction failed for some unstated reason This can mean the recipient server has no answer or connection is cut for unknown reasons. Too many complaints from this sender There might be a lot of users report the sender as spam. Determine the campaigns generating the highest bounce rates. Determine the recipients whose email addresses generate a bounce. Decide what email addresses you should keep and what email addresses you should remove from your list.